Opportunity unlocks creativity at DYXnet Group! This was proved when colleagues applied their talent and determination-to-succeed at annual dinners in each of our five major regions. Our people saw an opportunity to channel energy and flair into singing, dancing, acting and performing like fashion models when dressed to suit various themes. The fact is DYXnet Group professionals capitalise on opportunities every day of the week to maintain our lead as Greater China’s No.1 carrier-neutral network service provider. Our annual dinners during the first quarter also reflected the cohesion that has grown between teams since acquisition of our Virtual Private Network business by 21Vianet. 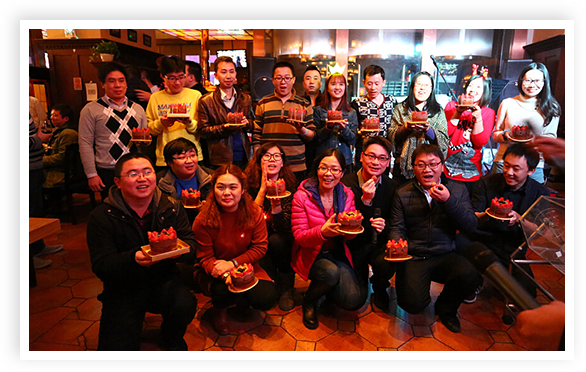 DYXnet Group colleagues bond with a 21Vianet CCIB team at the North China region annual dinner, while those with January birthdays were in for a pleasant surprise. 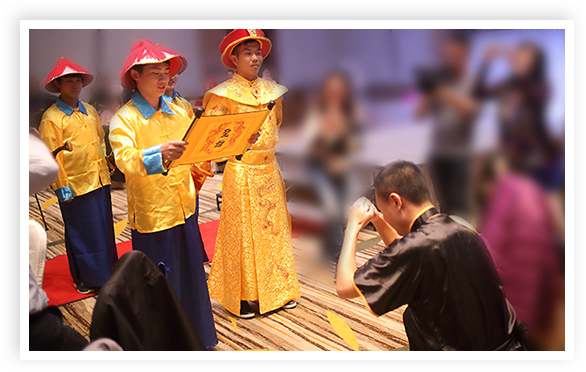 Management and staff work as one slick team to win this fun game at the East China event. 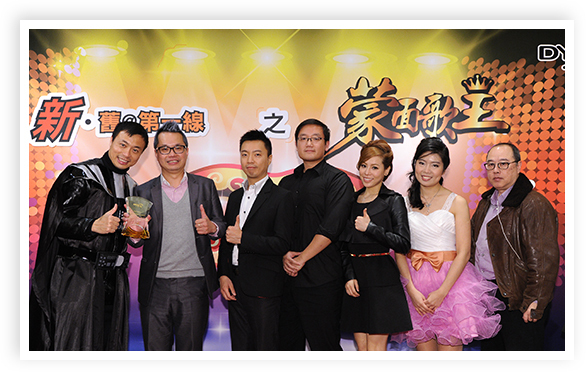 A prime example was a slick show by the young millennials of our Customer Care team in Guangzhou, which scooped the best performance award at the South China dinner with an amazingly creative dance act. Another shining example at the same event was provided by Network Operation Centre engineers. They won the best costume award by transforming themselves into a contingent of ancient guards surrounding a Chinese Emperor. Our Customer Care team scooped the best performance award for generating energy and excitement with a creative dance act. Meanwhile, Network Operation Centre engineers dressed as guards around the Emperor issue an “Imperial Edict” demanding CEO Lap Man facilitates smooth integration of DYXnet and CCIB teams. In Taiwan, colleagues created a sporting “wow” factor and dressed accordingly to do some lion dancing and act out a drama. 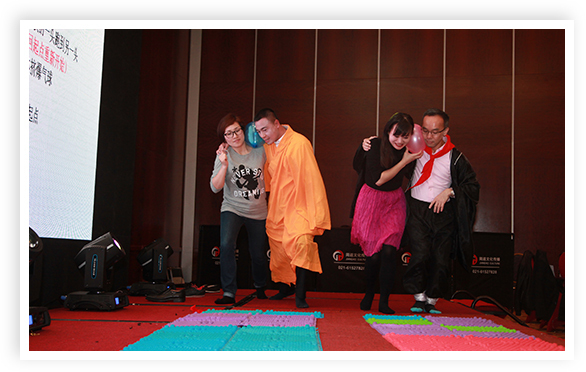 Dancing was also a feature of the North China event, where DYXnet Group staff bonded with CCIB colleagues to the “We are family” theme. 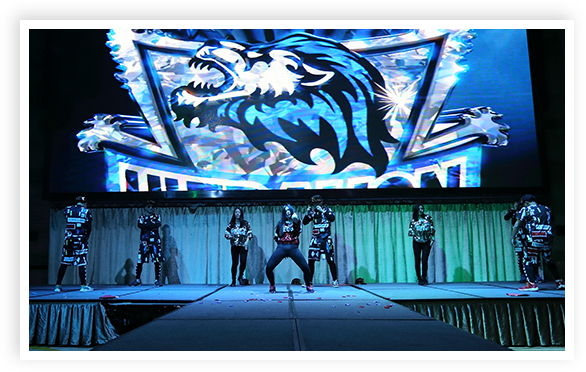 A clown performance drew uproarious laughter, and a special surprise delighted everyone whose birthday fell in January. Hong Kong staff found themselves on what looked like a “Star Wars” film set! CEO Lap Man became Darth Vader for the evening, flanked by members of his management team dressed as Jedi Knights. 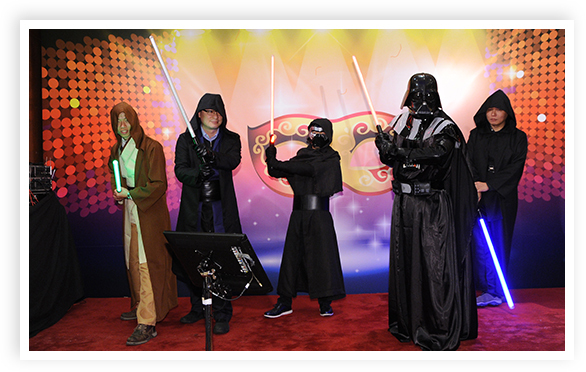 Darth Vader accompanied by Jedi Knights astounded revellers when they revealed themselves as the CEO and his management team at the Hong Kong event! Lap Man also presented a “Top Gun Award” to high-flying members of the local sales team. 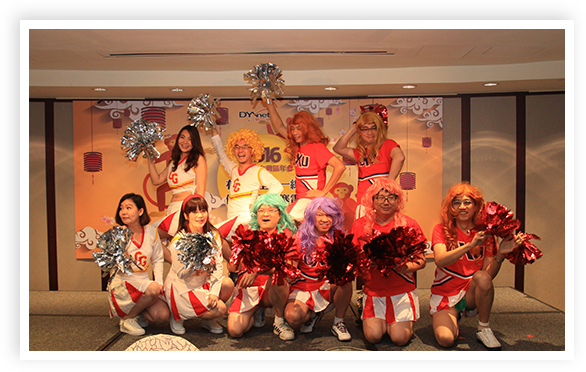 In fact, the CEO and his management team were the life and soul of the party at every event – even dressing up as female cheerleaders in Taiwan, complete with wild wigs! 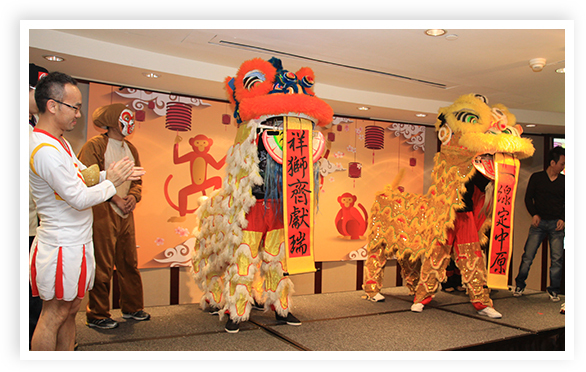 A lively lion dance and drama performance left the audience in raptures at the Taiwan dinner – then CEO Lap Man and his management team donned wild wigs to become glammy female cheerleaders! 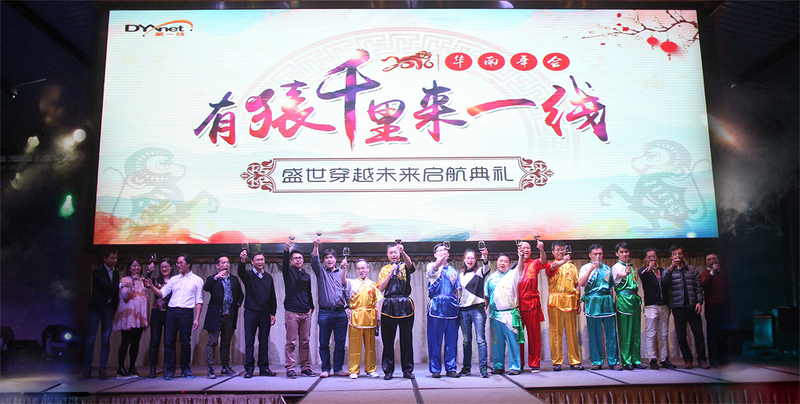 Each of the five events also honoured colleagues with long-service and other awards, and the spotlight shone on DYXnet Group’s sales hotshots for their achievements. Now we can look forward to next year’s annual dinners – and the opportunity to get the team’s talent and creativity working yet again for our celebratory enjoyment!